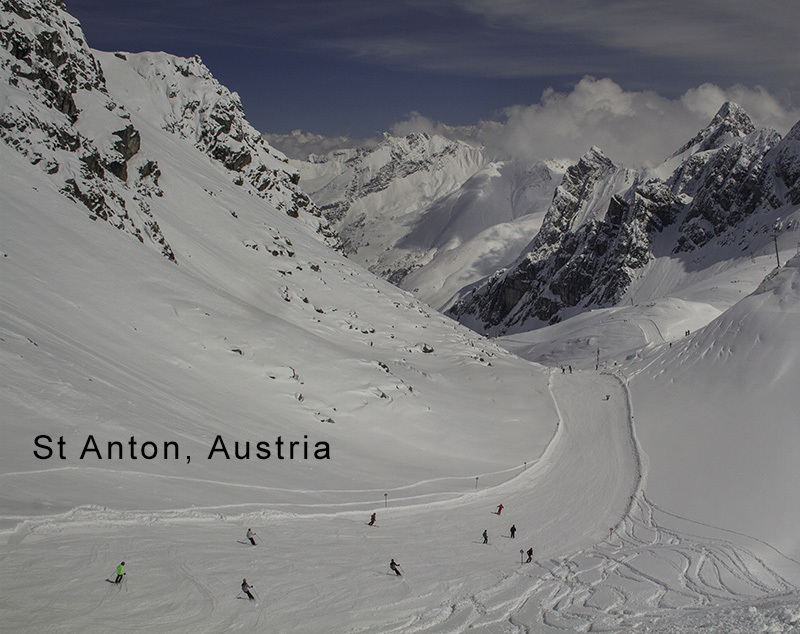 St Anton Ski Area | Photo Tours in Colorado & Utah. Photo Tours in Colorado & Utah. The 2015-2016 ski season begins as a dream. Record vertical for one day at Keystone, Colorado. Life-long skiers looking for opinions on skiing Europe, while inviting skiers and snowboarders to Colorado. Ski about 30 to 40 days a year and lots of time is spent online searching for bargains. After reading about early snow in the Alps, my wife and I are more excited than ever to plan our 2016 ski vacation. 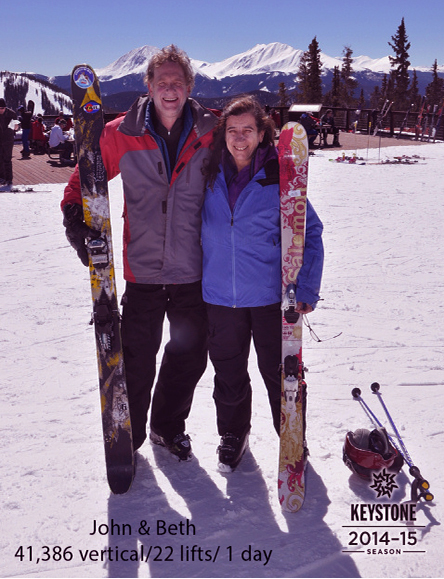 Our visits to Europe have become ski vacations, after our trip in 2014. 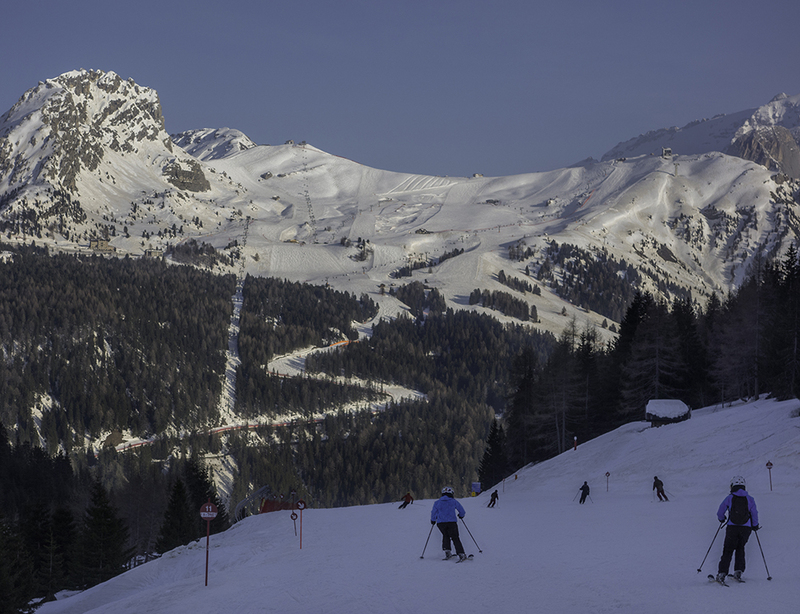 First, skiing the Dolomites during an epic snow year, including the Sella Ronda. Then off to St Anton, just after they received piles of snow. The snow Gods were smiling on us. Our 2014 trip to the Dolomites, Italy. Skiers on the Sella Ronda route, Dolomites Italy. This time of year, Colorado skiers and snowboarders are visiting the local sales, if you don’t mind last year’s gear. Having raised two daughters as snowboarders, we appreciate the good deals. We chose our new skis (Atomic Theory and Elysians), thinking they’ll handle Colorado’s soft snow and the Alps more variable pistes. We’re a bit leery of off-piste skiing (we call it backcountry), since Colorado has so many avalanches. We often wonder why there’s so little cross-pollination. Skiing in the Rockies and the Alps is wonderful, yet on so many levels, enjoyably different. Americans tend to chat a lot on the lifts and we don’t find many Brits, certainly not too many. Your accents give you away. 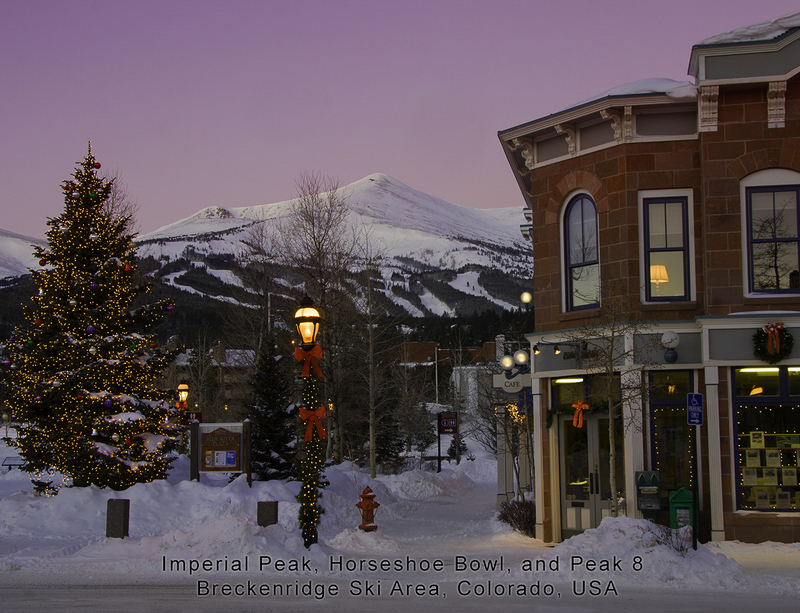 Breckenridge Ski Area from Main Street. We’ll have three weeks to ski some of the Alps, arriving on snow 18 March. Our philosophy is to be after the national holidays with less crowds and cheaper lodging. Hopefully the snow (at least the bases) will be adequate. Being good skiers, but not powder hounds, snow conditions are only moderately important. We love cruising, exploring and the ambiance. We’re particularly interested in the French Alps, having only visited Chamonix in the summer. Week one we could choose from: Flaine, Avoriaz (Porte du Soleil), Megeve and Chamonix. Monitoring snow conditions is important because of the lower elevations here. We’d like a traditional village as a base, maybe Les Carroz? Week two, Les Trois Vallees, extending to Val d’Isere. The amount of terrain and reliable snow puts this region high on our list and the new Alpine Legends Pass is even better. Week three is more open. The thought is to visit the Aosta Valley, especially Cervinia and Monterosa. 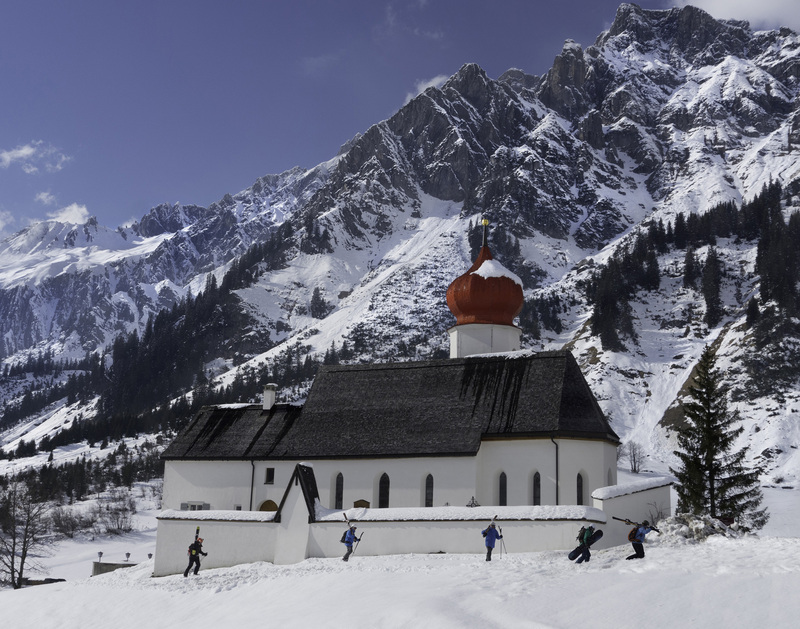 If our wander lust prevails, it could be Switzerland or Austria. Boulder, Colorado: Best Sunrise Locations. “Boulder, Colorado: A Photographic Portrait” John Kieffer’s 6th book is due May 2018. John offers custom tours for 1 to 4 people.